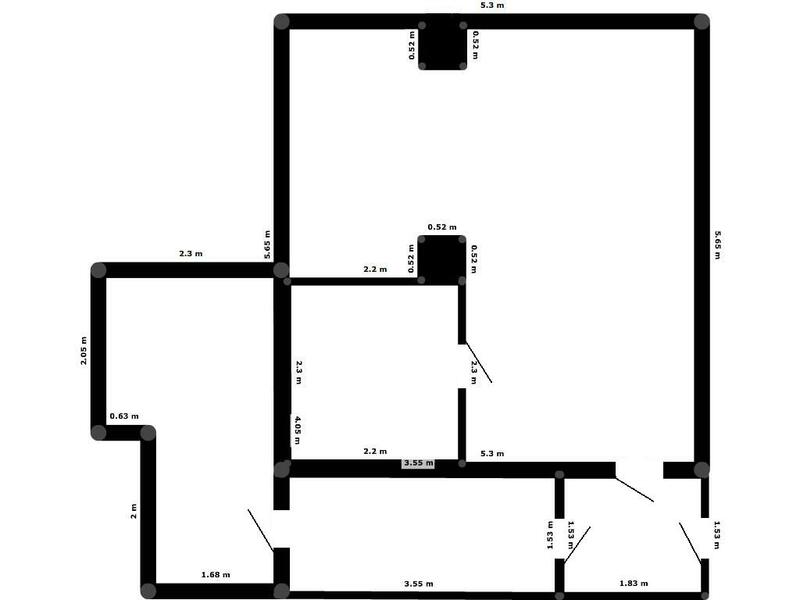 Floor plan of the gallery. The main exhibition space is the big room (30 m2, incl. small room). All rooms are in exhibition use, except the room on the left side which is for the storage of equipments. The small room on the bottom right is foyer.